Ahh, Venice Beach. We’ve seen countless movies and TV shows that take the character(s) to the famous beachfront. It’s ok, you can admit a move or tv show has made you want to go to the boardwalk on Venice Beach. They make it look fun - who wouldn’t want to go? Well as it turns out, Hollywood isn’t just making the Venice Beach boardwalk look fun for entertainment – there are actually some pretty fun things to do. I’m sharing 10 things to do on the boardwalk for your (next) visit. 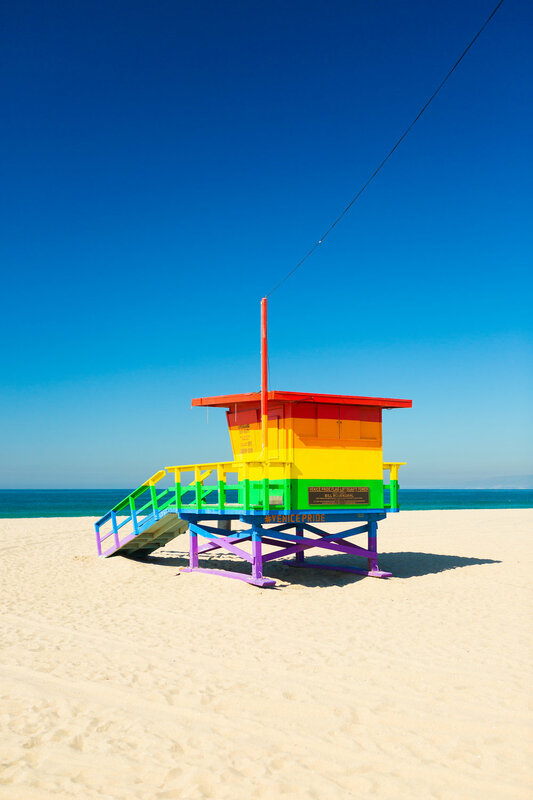 Believe it or not, Venice Beach has some great artwork to check out around the boardwalk. You’ll find people using sand to create sculptures, others painting, and more. It’s incredible to see what artists create and have displayed for visitors to enjoy. On my last trip, I saw a women create a life-size mermaid in the sand in the span of a few hours. It. Was. Amazing. Since Venice Beach is a hot tourist spot, there are tons of street performers around at any one point. People from all over the world perform along the boardwalk. Visit the boardwalk on any given day and you’re sure to find someone performing. Rent a Bike and Go for a Ride. One of the undeniable benefits of southern California is the amazing weather. So why not take advantage and do what the Californians do – do something active outdoors. If you’re heading to the boardwalk to relax, riding a bike is an activity that’s not TOO much work so it’s a great option. There are places to rent a bike so you can ride along the trail and enjoy the scenery. Scooters have also become incredibly popular around the boardwalk. Add the Byrd app or Lime app to your smartphone and get scooting. For the athletic type, there’s nothing better to do near the Venice Beach boardwalk than play some beach volleyball. It’s the equivalent to Quidditch in Harry Potter – if you’re going to play, you might as well do it on Venice Beach. The boardwalk is located in a pretty stunning area of California. Between the amazing weather, view of the ocean, beach, etc. just enjoy what the boardwalk has without overcomplicating it and simply go for a walk. There’s a trail along the beach so you won’t get sand all up in your shoes, too. Naturally, there’s plenty of shopping along the boardwalk in Venice Beach. The great thing about the boardwalk is there are a lot of local boutiques with unique items and souvenirs. Stop in to some of the shops – there’s no telling what gems you might find. Grab a Drink at a Rooftop. The boardwalk has some snack shops along the way, you’ll find things like corndogs and fries in those spots. But if you want to have a more grown up snack (and/or an adult beverage) make sure you visit the hottest rooftop along the boardwalk. It’s at the Hotel Erwin. Their rooftop has pretty insane views of the ocean. What better place than Venice Beach to do some fishing? There are some prime spots along the boardwalk for fishing if you’re in the mood for an activity to get in touch with nature. While I have absolutely zero fishing skills, may the fishing odds be ever in your favor, babes. Let’s be honest for a minute, we all LOVE people watching and the Venice Beach boardwalk is a prime location for it. There are so many people from all walks of life passing by at any one time, so sitting down on a bench with an ice cream in hand can be great entertainment.